Phillips Hue lights prides itself on being “your personal wireless lighting system”. This product can instantly change the entire ambiance of your home with just a quick flick of your thumb using your smartphone. 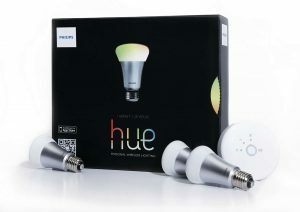 To get started with Hue Lights, buying the starter kit is necessary. This comes with a hub that connects to your wireless router, and 3 colored light-bulbs. The light-bulbs can turn any color in a broad spectrum of color assortments available using the Phillips Hue app. Phillips Hue Lights can be purchased at a variety of retail and online locations such as Best Buy, Home Depot, Lowes, Amazon and the Phillips Hue website online. 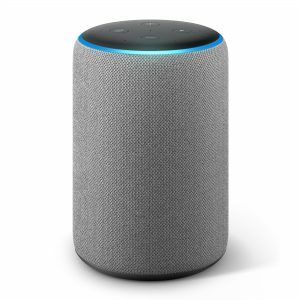 This gift is perfect for the techy dad that loves making his house his castle, this is also great for young adults who have recently moved out and want to add their own personal flare to their new dwellings for entertaining friends. 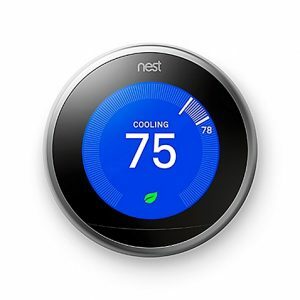 In the theme of smart home equipment Day 11’s featured gift is a Nest thermostat. The Nest will make your home feel seamlessly self sufficient, this paired with Hue Lights could make you feel like your home has a mind of its own! The Nest is a simple to install home thermostat that can control your heating and cooling to run in the most efficient way possible. Nest will turn itself down when you’re away. You can also control all the settings from anywhere in the world with the Nest app! This gift will be best for the tech crazed dad that loves automation! Monitoring the thermostat will be no more with the seamless integration and high energy saving the Nest promises. The airpods are apples take on wireless headphones. 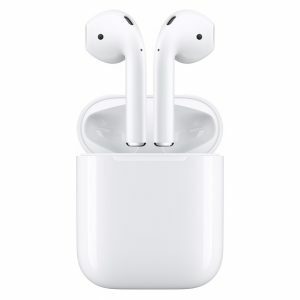 They seamlessley connect to any apple device over a bluetooth connection. With more than 24 hours of battery life in the charging case and a charge time of 15min for 3 hours of playback these headphones can go over 5 hours on a single charge. While small, the sound quality is second to none. Available online at the Apple Store or at Retailers like Wal mart, Target, Best Buy and of course Amazon. Perfect for the music listener, college students, or anyone with a variety of Apple Devices. These airpods can work with Macbooks, iPhones, iPads and the Apple Watch. 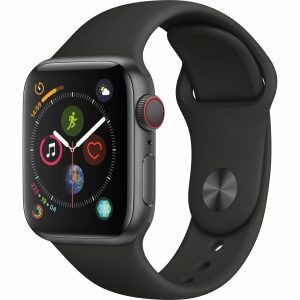 The Apple Watch Series 4 is an upgraded model of the classic Apple Watch. This series introduces bigger screen sizes at 42mm and 44mm compared to the traditional 38mm and 40mm. 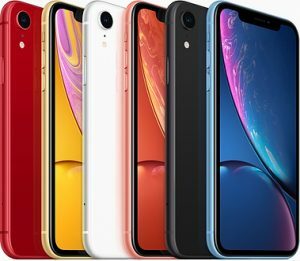 The series 4 is also the thinnest Apple Watch to date for a more comfrotable and stylish look. With all the features of a smartphone in the LTE cellular capable ones the Apple Watch can be as mobile as you are. The regular model also makes a perfect companion to your phone. Apple Watch is available online at Apple, Best Buy and any other major retailer. the LTE cellular capable is available at Sprint, AT&T, Verizon and other cellular carriers. They will require a supplemental data plan. Who: The Apple Watch is a great gift to anyone with an iPhone. The watch makes a great fitness buddy or helps others keep in touch. It can also help get you away from your phone by having communication right on your wrist. 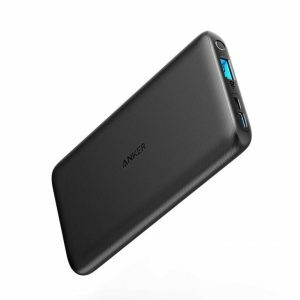 The Anker PowerCore Lite is a sleek battery pack, whose 10,000 mAh capacity is enough to fully charge most smartphones twice and have power to spare. With a full USB port, a USB-C port, and a microUSB connector, the gadget has more connectivity features than any similarly priced rival. It’s a great gift for on-the-go personalities. The Anker Power charger is perfect for someone you know that is a traveler. Whether it be for work or pleasure. This could also be perfect for that person whose phone is always on the verge of dying when they’re out and about. 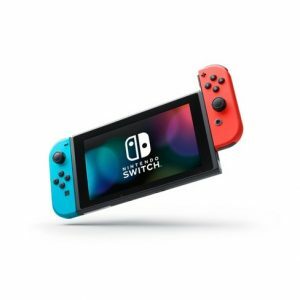 The Nintendo switch can easily transition from a mobile gaming device to a home entertainment center by docking it into a station connect to your TV. With innovative Joy-Con controllers, a fun selection of games that includes a hot new Zelda installment, and a cool selection of accessories, the Switch has been a hot commodity since its launch, and for good reason. It’s a great gift for gamers of all ages. The best place to purchase this gaming system would be on Amazon. This gift is perfect for the gamer in your life. With the high scale graphics and new games planning to come out on the Switch, this console is perfect. Gamers now are also not tethered to their TV at home and can take their game on the go. Transform the way you watch TV with the Apple TV 4th Generation. In the era of Netflix and Hulu TV binge sessions this is the device to do it with. The Apple TV can transform any TV into a smart TV. With Apples intuitive TV OS you can now download apps onto your TV just like your phone. From games to major network apps. This little box can turn any home into a major theater with endless possibilities. Available at any major retail locations like Best Buy, Target, Wal Mart. As well as online at apple.com or Amazon. 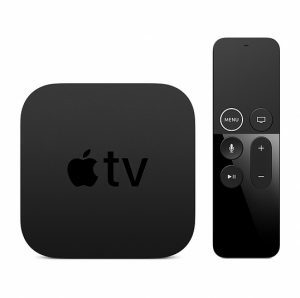 The apple TV would be essential for every movie buff or TV junkie in your networks of friends and family. This makes a wonderful gift to any household to take their entertainment into the next century. The future of cleaning is already here! This lightweight and ergonomically designed vacuum can transform from a floor set up to a handheld, making it the perfect cleaning companion. It comes with a variety of tools for cleaning any type of surface, at home or in your car. All cordless this vacuum can go an industry leading of 60 minutes between charges. 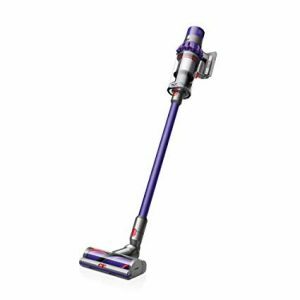 You can find the Dyson vacuum at a variety of stores, including Best Buy, Target, Wal Mart. As well as online at Amazon. This would make an amazing fit to the neat freak in your life. Or an amazing housewarming present for any college student that moved away or a young couple that recently moved in together.